Today’s stage from Irvinebank to Skybury was a fast a furious 95km marathon race and resulted in two new names on the top step of the elite category podiums: the Austrian Matthias Grick wins the sprint finish in the men’s and the Belgian ex-pro road racer Sjoukje Dufoer wins in the women’s. No change overall, Urs Huber keeps a narrow 1:10min lead ahead of fellow Swiss racer Konny Looser and the Australian Sarah White increases her lead over Lucy Coldwell to 11:25 minutes. 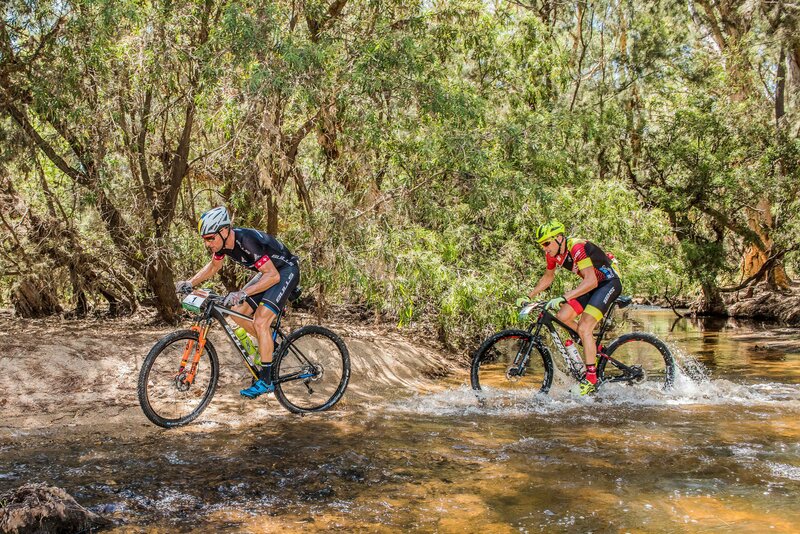 The first section of today’s stage led the peloton across the historic mining region of Stannary Hill and the racers had to deal with extremely rough conditions, big rocks and ruts on the track. A lead group of four quickly formed: Grick, Huber, Looser and Nissen worked together all day and had “wanted to reach the finish as quickly as possible”, Nissen continued. “I tried to attack, but couldn’t break away”, he explained and added that he had underestimated the Swiss riders’ strength and that it had been difficult backing up a very busy European racing season with a tough race like the Crocodile Trophy. 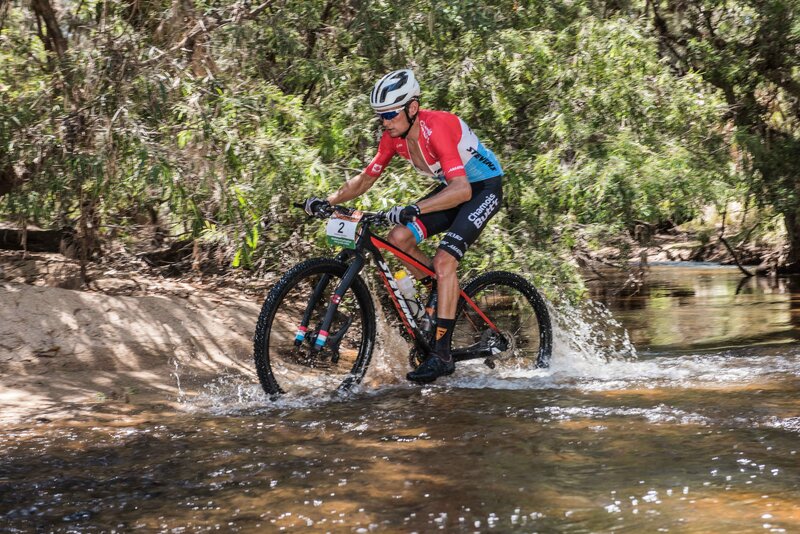 “Orginally the Croc was my big goal for this year and to fight for the overall win, but I have competed at so many events, I’m just not strong enough this year”, he concluded. In the end, it was the Austrian Matthias Grick who managed to get a gap and win the stage in a sprint finish. “To win a stage at the Crocodile Trophy has always been my dream”, the 27-year old said today, who is competing for the second time this year and will claim his first boomerang at tonight’s stage winners’ ceremony. He said that it had been extremely hard and every stage so far had been brutal. “Today everything went to plan, I knew I had to ride well in the beginning and get through the rough sections”, he explained and that he was very content with how his equipment by the Austrian manufacturer KTM had held up in the extreme conditions this year. “The Crocodile Trophy is an equipment battle, everything needs to perfectly fit, like a clockwork”, he concluded. Recovering from today’s race at Skybury Coffee Plantation today Urs Huber said that he enjoyed the landscapes and that he did notice his surrounds while racing. When Huber is not racing, he is working on his parent’s apple orchard in Switzerland and said that it was interesting for him to observe setting of the coffee and tropical fruit plantation at Skybury. Of the remaining three stages he said that he would race “defensively, keeping a very close eye” on second overall, fellow Swiss racer Konny Looser. “I think the hardest stages are behind us now and tomorrow’s stage is probably one more chance for an attack, however, Konny and I seem to be racing a bit stronger than the rest of the field, so a solo attack will be very difficult for him”, said Huber. Overall, the top three men’s standings remain unchanged; Huber ahead of Looser (+1:10min) and Nissen (+47:10min). Grick is still in fourth (+01:24:30) and the Czech rider Milan Damek is in fifth (+02:15:59); Philipp Wetzelberger injured his knee and is out of the race. 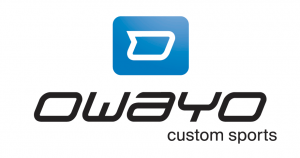 The second half of the stage was predominantly flat and in the women’s it was the Belgian Sjoukje Dufoer who took advantage of her past as a pro-road cyclist. After a very successful road racing career, including finishing in 10th in the Tour de Flanders, the 31-year old said that now she was looking for more of an adventure on the bike. 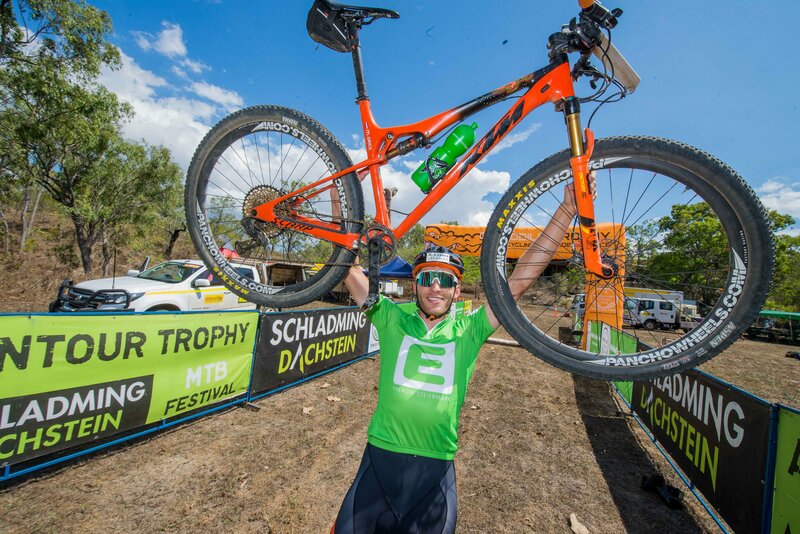 From the day they had met she and new husband, fellow elite racer Tom Vandenbussche had picked the Crocodile Trophy as one of their adventures together. 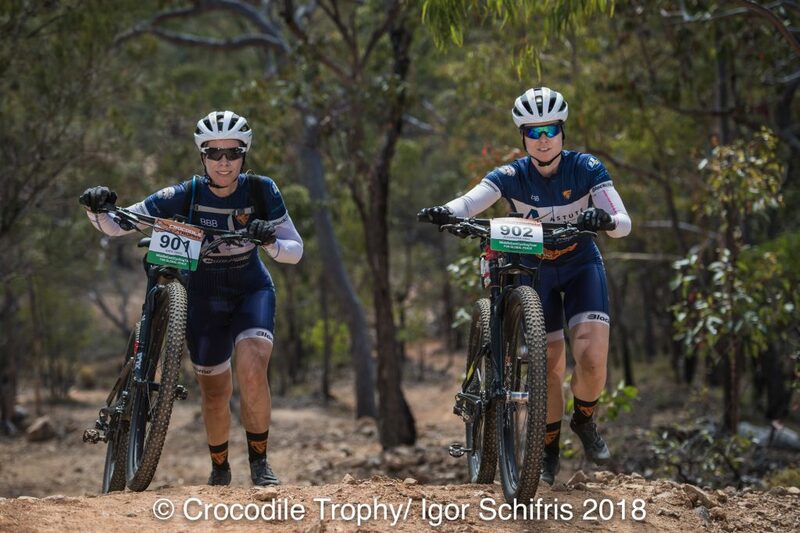 “When we first met one of the first cycling topics that came up was the Crocodile Trophy and I said to Tom ‘Would you do the Croc with me?’ and the rest is history”, she said today after finishing 5:31 min ahead of Sarah White and Lucy Coldwell (+15:03 min). She had been surprised to be in front of her fellow elite women right from the start and had suddenly felt ambitious. “I wasn’t even trying in the beginning, however, I realised that I was in front and then the elevation profile just really suited me”, Dufoer explained. 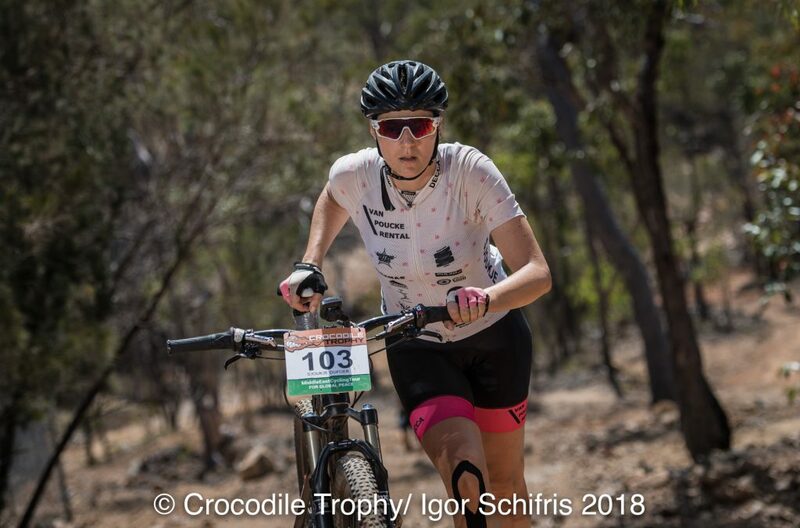 “This is an incredible experience – we live in an area in Belgium that is completely flat, so the first few stages were really tough”, she said of her race so far and that they would stay in Australia for bit longer after the event and travel around. Overall, the local contender and 2015 Croc winner Sarah White increased her lead to 11:25 minutes ahead of Lucy Coldwell with three days to go. Tomorrow’s stage will the longest on this year’s stage plan, a 127km circuit race via the recently established luxury resort, Mount Mulligan Lodge. 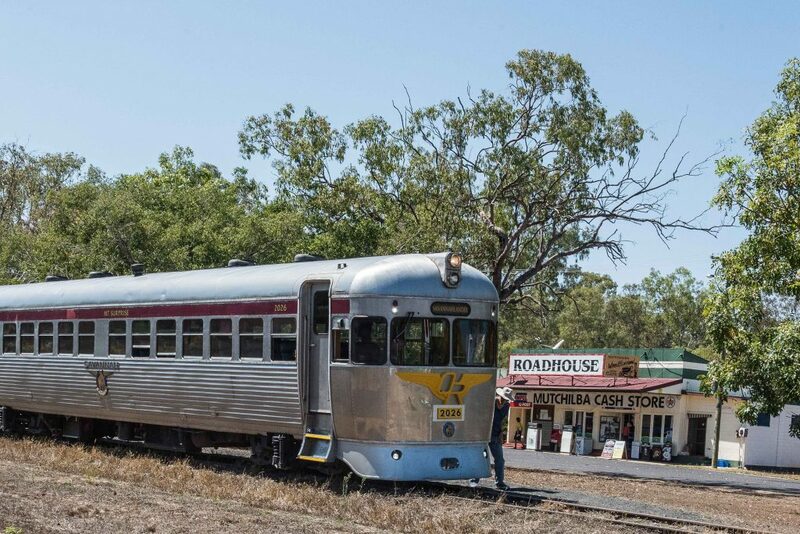 “We are very thankful to have permission to pass through the Mount Mulligan Lodge property and we will also reach very remote areas in the Outback tomorrow past the historic Tyrconnel gold mine and Kingsburough towards the end”, said track coordinator and General Manager, Koenraad Vanschoren. “This could, with only 50 km to go, be the perfect section for an attack”, he added. With three stages to go, the Elite front end looks very established, however, there are still quite a few amateur categories where podium battles will be happening. In Amateur 1, Martin Plank from Austria is leading by almost 3 hours, as is Luke Zweers from Australia in Amateur 2 (30+), however, 2nd Dominic Kleijnen from Belgium and the German Stefan Schmeckenbecher in third are only 15min apart. In the 40+ Amateur 3 category Michal Lanik from the Czech Republic leads by 48 minutes ahead of the Australian Bart Duraj; third and fourth are close – only 14 min separate Gavin Scott (AUS) and Martin Wisata (AUT). 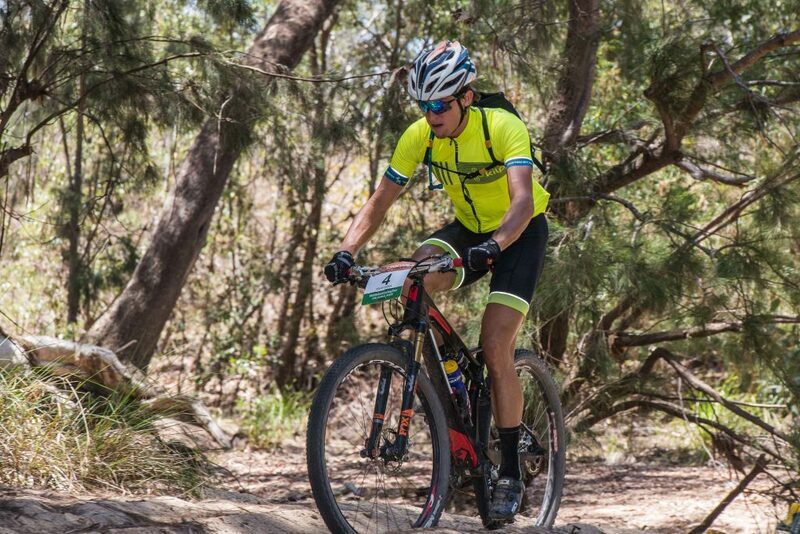 The Australian Graeme Young leads the Amateur 4 (50+) classification by almost two and a half hours, however, the overall progress race times after five stages of places two to four are within 15 min of each other. With Giovanni Colagiacomi Capponi a strong Italian rider leads the Amateur 5 (60+) category by more than eight hours ahead of the British racer Dennis Warner. In the Amateur women overall Mona Van Nassauw from Belgium leads by almost three hours ahead of Teresa Dewitt from the US and Amateur 1 racer Lotte De Vet, the only one in her category. 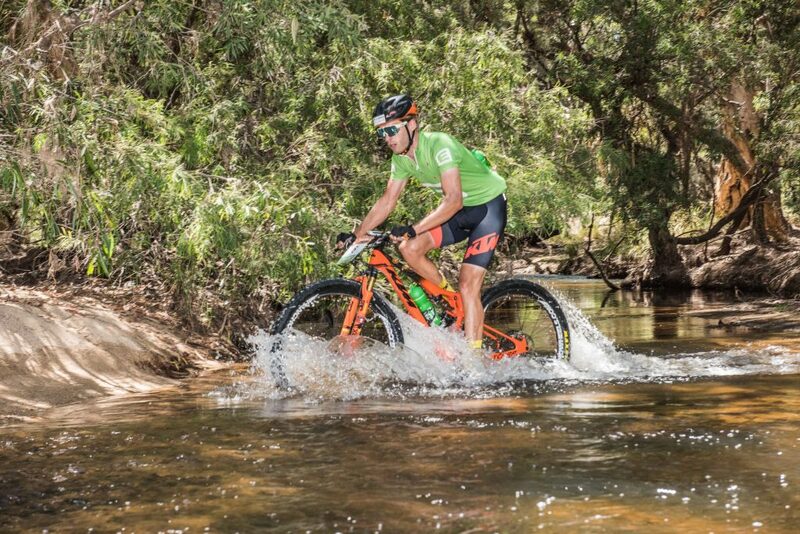 The Crocodile Trophy also offers a Team of 2 “Adventure” classification; Timothy O’Leary and Shaun Portegys are leading in the Men’s for New Zealand, Peggy Herold and Martin Steube in the Mixed Teams and Alexandra Hall and Kath Deed two locals are the competing female team. This evening the Croc racers are enjoying freshly brewed coffee and delicious treats at Skybury Coffee Plantation. Female stage winner, Sjoukje Dufoer. Photo: Igor Schifris.